Is Sanity Too Much To Ask For? R.J. Rushdoony: 00:00 Is sanity too much to ask for? This is R.J. Rushdoony with a report on our threatened freedom. Sometimes, because my duties take me all over the country and have for years, I miss reading the daily newspapers. As a result, I miss some news now and then. Somewhere along the line, I must have missed news of an important congressional act repealing sanity, because there certainly seems to be more than a little hostility against it. R.J. Rushdoony: 00:32 Take this, for example. In the January 1981 Harper’s Magazine, Theodore Roszak calls attention to some prime examples of highly respectable insanity. One prominent psychotherapist told Roszak over lunch that people sleep and die only because they have been mistakenly programmed to believe they have to. Reprogram people, he held, and you can eliminate sleep and death and chalk up a victory for therapeutics. If this is psychotherapy, perhaps we are locking up the wrong people in our mental institutions. R.J. Rushdoony: 01:14 Now obviously, God does not sleep nor die. But for a man to suggest that we can do the same is to assume that man is a God who has not realized his potential. This is, of course, exactly what many people are insistent on declaring. Now, if man does not know that he is a man, a creature made by God, not by himself, and a creature who is born and who can also die, then man cannot face any problem intelligently or realistically. If we begin with a false problem, we end up with a false solution. If we cannot face realistically, some of the most elementary problems of human life, our lives are certainly headed for defeat, and our country, too. 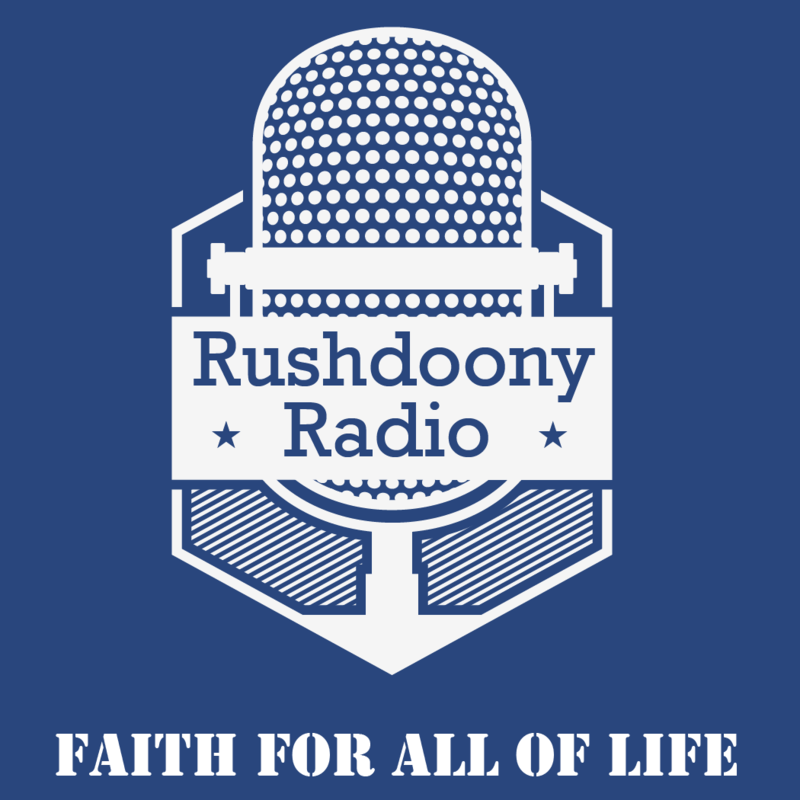 R.J. Rushdoony: 02:06 No one who lives in terms of illusions can long be free. I once met a man who was under the illusion that he was the wealthiest rancher in his area. Actually, he had lost the little ranch he once had. However, he believed that he had millions in the bank, and regularly and generously wrote checks on his nonexistent account. What his checks brought him was a return to the state mental hospital. R.J. Rushdoony: 02:36 There are, however, note mental hospitals for nations who live in terms of illusions. No one will take care of the United States in such a case.The United States has fallen under the sway of messianic delusions of saving the world with dollars, guns, and diplomacy. And this solution is destroying us. Anyone, man or nation, who plays God, winds up at best a fool, but more likely in the scrapheap of life in history. R.J. Rushdoony: 03:09 We should not be surprised that the United States is governed by delusions when a prominent psychotherapist thinks we can program men out of sleeping and dying. And when so many of us live lives daily in terms of false hopes and active delusions. The world is not what we wish it might be, but what God made it to be, and our sins and shortcomings have brought it to be. We cannot change the world until we begin to live in terms of reality. God’s reality, not our illusions. R.J. Rushdoony: 03:47 Are you living in the world of soap operas, television-made or Washington-made, or in terms of God’s order? This has been R.J. Rushdoony with a report on our threaten freedom.